I love spiderwort. Not everyone shares my regard for this heavenly blue flower with the delicate structures in the blossom’s center. 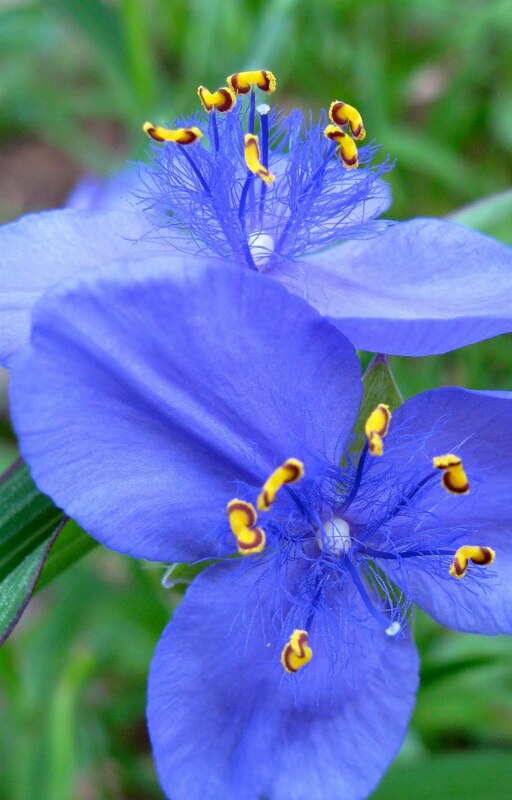 Descriptions on the Web range from “invasive weed” at eHow.com to an article by a Canadian gardener who puts spiderwort on his list of must-have plants to add to his collection of perennials. A lackadaisical gardener at best, I appreciate the fact that neglect produces these bits of beauty that greet me during an early morning walk outside.